Grinding, Polishing, & Straightening of Stainless Steel Boat Propeller Shafts for the Marine Industry. Processing of Heavy Wall, Long Length, Alloy Tubing - Hydraulic Cylinders Used in the Pulp and Paper Industry. Grinding of Carbon Steel Bars for the Automotive Industry. 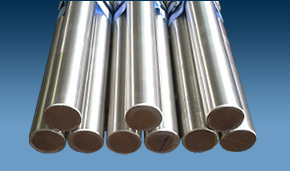 Processing of Type 410 HT Stainless Steel Round Bar for the Power Generation Industry. Thru-Feed Grinding of Carbon Steel Oil Pump Shafts for the Heavy Equipment Manufacturer Industry. 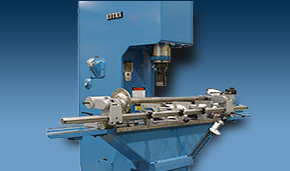 Cutting-to-Length & Grinding of Brass Rods used in Research & Development.